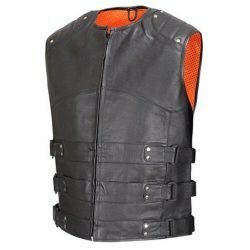 Are you in market for a great motorcycle vest? Then you are at the right place. 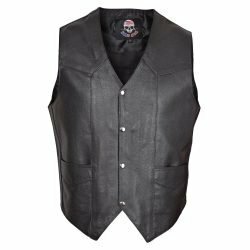 At WICKED STOCK we have an unmatched inventory of biker vests available in variety of materials including leather, mesh, polyester and denim. We got a vest for every rider, no matter what their preference. 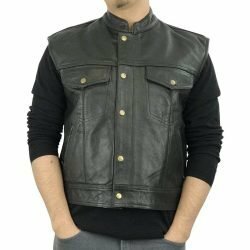 We have Leather motorcycle vests, textile motorcycle vests, High Visibility motorcycle vests and Denim motorcycle vests. Our Motorcycle Leather vests are made from full grain cow leather. 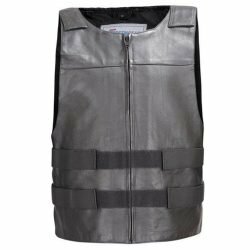 Understandably, vests don’t provide protection like jackets do but during scorching heat these are comfortable and provide torso protection against elements. 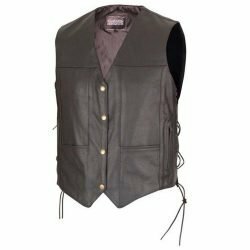 Our Leather motorcycle biker vests come in different styles; classic western, conceal carry, swat style and club style vests to name a few. In cooler weather you can choose the best sized vest to go over your regular jacket. It will not only cut through wind, but you can also have your club patches or colors on it. Most of our leather motorcycle vests are designed to be worn on and off motorcycle. 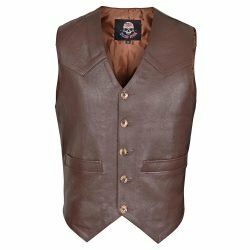 You can use our classic western style cowboy leather vests or club vests as casual gear. Great thing about WICKED STOCK leather motorcycle vests is they all come with a Lifetime Leather Warranty. 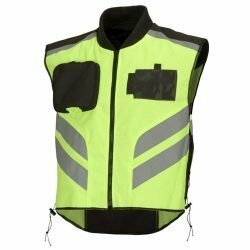 We also manufacture high visibility motorcycle vests that will allow you to be noticed during times of bad visibility. Many studies show about 90% of accidents involving motorcycles and other vehicles occur due to the fact that the other drivers “just did not see” the motorcycle rider. You can plan to wear our high visibility motorcycle vests over your regular jacket. Some of our textile motorcycle vests have “mil spec” designation that will allow you to ride on a military base without violating the military rules for riding. 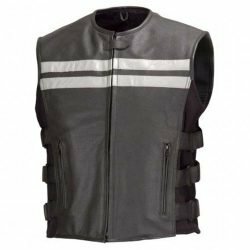 At wickedstock.com, you can order your biker vest with confidence as we offer free shipping and free exchanges. No restocking fees ever! Call, text or chat and our gear experts will walk you through the vest selection process.